Here is a short list of my favorite nonprofit management and technology books that are out right now. Don’t miss them! 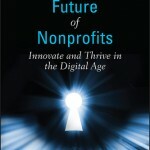 In their book, The Networked Nonprofit, Beth Kanter and Allison Fine write, “Networked Nonprofits work as social networks, not just in them.” According to Kanter and Fine, by connecting individuals with common interests and goals, nonprofits create an ecosystem of organizations and people eager to help. And by utilizing “free agents” – individuals working outside the organization who can organize and raise funds – nonprofits can capitalize on the power of social media to get their message out. According the Heath brothers, change is NOT a four letter word! During his plenary presentation at the 2011 Nonprofit Technology Conference (#11NTC) Dan Heath described the metaphor of the elephant (unconscious/emotional brain) vs. the rider (rational/conscious brain) used in this book he co-wrote with his brother and discussed how nonprofit organizations can use the “elephant” as a fuel for change: Direct the rider. Motivate the elephant. Shape the path. This entry was posted in Book Reviews and tagged nonprofit management, writing on February 23, 2012 by stacydyer. 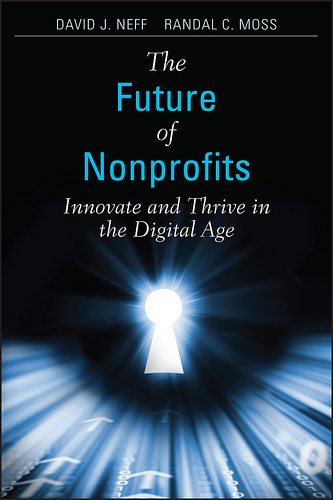 Heather Burton, my boss, recently was published in this book, YOU and Your Nonprofit. She brilliantly wrote the second chapter. Executive directors, staff members, and volunteers want it. You and I want it. Everybody wants it. And oh, the places we’d go with that dream board! We’d have the most beautiful vision and a clear strategy for achieving it. We’d raise all the money we need, serve all the clients in need, and make the world a beautiful, safe place. If only the world was that perfect! Alas, it’s not. But, there are ways to move closer to that utopia. In my experience, it’s about understanding not only the long-term vision, but also the current reality and the gaps between the two, and then setting the right priorities at the right time to begin closing those gaps. I’m hoping this article provides insight into how you can re-energize and transform your board in a way that brings your organization into the next phase of its evolution. The chapter goes on to address topics such as organizational and board life cycles, getting the right leadership, on-boarding board members, and having the right roles for the right people. If interested in purchasing one, you can get your copy at this link. All the proceeds from purchasing from this direct link will benefit, BookSpring! This entry was posted in Book Reviews and tagged boards, nonprofit management, public policy, strategic planning on June 28, 2011 by stacydyer.